The Engineering Society runs a group of design teams focusing on all aspects of Engineering. The design teams offer a great opportunity for students to get involved outside of the classroom, while gaining direct experience with real-world engineering projects. The team projects range from concrete canoes, to a sailboat that sails itself. The teams provide a great deal of jobs for a variety of levels of commitment. There are team leader positions, as well as drop in positions. They allow participants to put in as many or as few hours fit their schedule. All teams can be found below, click on the image to be redirected to the teams site. 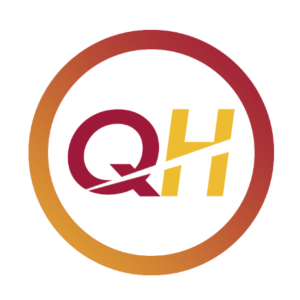 The Queen’s Rocket Engineering Team (QRET) is a team of students from Queen’s University that share a passion for design and construction of high speed aircraft for the space and aerospace industries. The team builds a rocket each year to compete at the Spaceport America Cup. The objective of the competition is to deliver an 8.8 lb payload to an altitude of 10,000 feet, then track, and recover the rocket and payload in reflyable condition. The Queen’s Space Engineering Team is a group of over 60 exceptional and passionate students who share the desire to explore and compete in the world of space science and technology. Created in 2006, QSET has built stand-alone, off the grid, mobile platform rovers, as well as 3U CubeSats which were all used to compete in various international space competitions (University Rover Challenge, European Rover Challenge, Canadian Satellite Design Challenge). Queen’s University Baja SAE is a multi-disciplinary, student-run engineering team that challenges students to design, fabricate and race a small off-road vehicle. Based in Kingston, Ontario, we compete in the North American Baja SAE three-race series each spring, which attracts over two hundred teams from around the world. For almost forty years our team has been a strong international competitor in Baja SAE, recently placing first, fourth and seventh overall. 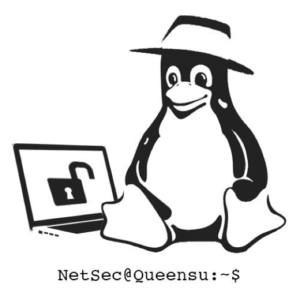 Queen’s Network Security is a team made primarily of ECE and Computer Science students who learn, discuss, and safely practice network security concepts. With network security’s popularity in current events, NETSEC seeks to educate members on how to properly develop and test network systems with an analytical and ethical mindset. For any students that want to up their skills as a software developer or learn about the ever-growing network security industry, feel free to join our weekly meetings. Students of any faculty are welcome! We are the Queen’s University Bridge Building Design Team. We build bridges. No, seriously. We are currently in our 6th year of operation and we compete in the Troitsky Bridge Building Competition which originated in 1975 and hosts universities all across Canada. We are an entirely student run team that oversees the design, fabrication, construction, and crushing of multiple wooden bridges. Our task is simple: build a bridge out of popsicle sticks, glue, and dental floss. Seems pretty simple, right? We break into 6 teams of 6 Engineering students and each team designs and assembles a bridge. We spend a month designing the bridges and then the next 4 months constructing them so we can crush them in March. Formula SAE is a competition organized by the Society of Automotive Engineers. The competition is open to engineering faculties worldwide and consists of the design, construction, and testing of an open wheeled race car. The cars are constructed according to engine and frame limitations that promote engineering creativity. All cars must pass through a 96 point technical inspection before being allowed to compete. The cars are built over a time period of one school year and are taken to several competitions each year with over 150 schools from 13 countries participating. FSAE provides valuable real world experience that can be directly applied in the automotive, as well as other, engineering sectors in post graduate pursuits. QUEST, the Queen’s University Experimental Sustainability Team, was founded in 2012 as a rebranded version of the former Living Energy Lab. This new team’s goal is to achieve sustainable living completely independent of outside resources. This involves creating or harvesting energy independent of the power grid, growing food, collecting, cleaning and storing water, minimizing waste, and addressing many other aspects of day-to-day life. QUEST hopes to address unsustainable human behaviours and habits by designing systems that change the very way we use energy and resources. 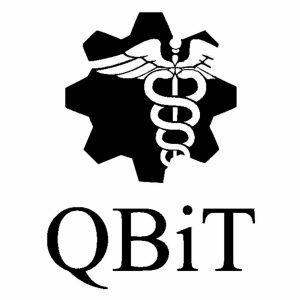 Queen’s Biomedical Innovation Team (QBiT) is an undergraduate student-run, interdisciplinary design team focusing on biomedical device design and innovation. In its fifth year of operation, the team consists of ninety members in mechanical, electrical, and chemical engineering, kinesiology, biology, biotechnology, and more. The team emphasizes collaboration between disciplines to create a comprehensive and fully-realized final product. The QBiT team strongly believes in education through application, and thus the team’s projects focus primarily on problem identification, prototyping design, and testing phases of product development. The team aims to compete in numerous international competitions per year, depending on the nature of the projects undertaken. QBiT also focuses its diverse knowledge base on providing learning opportunities for both the students on the team and other interested members of the community. The team organizes case competitions, speaker series, and collaborations with other design teams to expand the team’s potential and cultivate the principles of biomedical innovation at Queen’s and in the greater society of academia. Undergraduate students designing and building robotic sailboats. We compete annually at the International Robotic Sailboat Regatta. 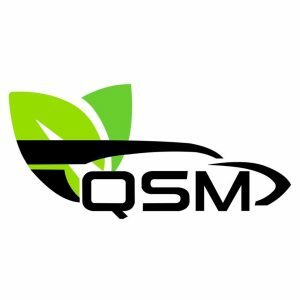 QMAST allows people to gain valuable experience working with integrated computer systems, robotics and power electronics. It also provides a unique way to practice naval architecture and aerodynamics. QMAST focuses on learning, and stresses good communication and teamwork. Tobogganing down a snow-covered hill never goes out of style. The Queen’s Concrete Toboggan Team is a civil engineering-based design team that competes annually in the Great Northern Concrete Toboggan Race (GNCTR). The team is challenged to design and construct a toboggan with a running surface made from concrete, complete with steering and braking systems. Competitors are evaluated on their concrete mix and toboggan designs, speed, stopping distance, team spirit, technical presentation and technical report writing skills. The competition also addresses sustainability with two environmental based awards. Being a student run event, industry sponsorship is crucial to the success of each team and the competition. The Queen’s Aero Design Team competes in the International SAE Aero Design Competition, held annually each spring in the United States. The team builds one or two small scale remote control aircrafts, which aim to accomplish several goals, including highest payload fraction (smallest plane, biggest load), accuracy in dropping a payload onto a target, and largest payload carried. New aircrafts are designed and built each year using a variety of design software and techniques, and then constructed in shop. All disciplines and faculties are welcome to join the team, and of course, no experience is required. Come check us out! If you are interested in joining, feel free to email the captain, Louis Burelle, at aero@nullengsoc.queensu.ca, or drop by BMH 115A. The Queen’s Concrete Canoe Team is an interdisciplinary competitive design team that designs and builds a canoe out of concrete every year! Want to know more? Come check us out on Tuesdays and Thursdays at 6:30pm in the Ellis Hall concrete lab (Basement of Ellis Hall). The Queen’s Fuel Cell Team (QFCT) is an undergraduate student-run design team at Queen’s University in Kingston, Ontario that strives to develop applications for fuel cells technology and provide opportunities for students to gain hands on design experience. Over 60 dedicated undergraduate students from a wide range of disciplines work on a variety of projects including building and testing of fuel cells and designing various vehicles to be powered by clean energy. The Queen’s Solar Design Team aims to provide both hands-on-experience and education to students interested in sustainable technology development. Since 2011, the team has shifted its focus from building solar vehicles to designing and engineering a fully off-grid, autonomous house named the Queen’s Solar Education Centre (QSEC), located on our campus! Today, the QSEC is fully constructed and the team now works to integrate and optimize new sustainable technologies into the house. These projects include an innovative 2-tank heat management system, a rainwater-to-domestic water system, and more, along with the development of new projects every year. 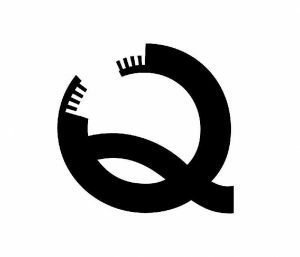 Queen’s Soft Robotics is a student run organization founded in 2017 at Queen’s University in Kingston, Ontario. Queen’s Soft Robotics aims to explore the field of soft robotics and increase awareness of the field’s applications within the Queen’s community. Soft robotics is a new area of research that integrates engineering for biologically inspired applications often in the fields of medicine and healthcare. Its focus is on utilizing soft materials such as silicones and rubbers to replace the conventionally rigid parts found in robotics. These soft materials allow for more fluidic motion of designs and provides a more organic appearance for ease of implementation in many applications. The Queen’s Hyperloop Design Team (QHDT) is a team comprised of over 60 like-minded students who share a vision for changing the future of transportation. We leverage the amazingly talented students within the Queen’s community to work in a cross-functional team, striving towards one goal: make the hyperloop a reality.